Suppositories started with … Native Americans? What!?!? The word Suppository can be a strange subject triggering lots of different images, but the history of suppositories is incredibly interesting! For instance, did you know they have been used for THOUSANDS of years? A suppository is a solid, cone shaped supplement made from cocoa butter. They may sound a little weird at first, but the benefits are something you should know about. There are two types of suppository: rectal and vaginal suppositories. Since I became interested in health, I have been interested in finding new ways to supplement my body with the nutrients it needs. I wrote this article because I wanted to know the history of suppositories. I had questions such as who started using them first, how were they made, when did they start making glycerin suppositories; subjects that make health exciting and relevant. Follow me as I take you on a tour of our fascinating history with medical and nutritional suppositories! The Cavemen? When was the Suppository Invented? Some archaeologists believe pre-Columbus, Mesoamerican cultures were the first to invent suppositories in 1700 BC. Mesoamerican archaeologists discovered Native tribes created small plugs made from dogwood tree to treat hemorrhoids! Although these are interesting facts, my research showed that the root of suppositories is actually much older! 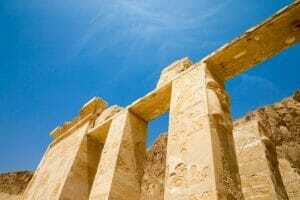 Some researchers have found evidence that the Ancient Babylonian culture were using a form of suppositories as early as 2,000 B.C. Medical Practitioners known as the Asu, or “Empirical Healers,” used suppositories to help treat hemorrhoids. Although the date is unknown, the Ancient Egyptians were found to use suppositories to treat Gastrointestinal problems. Our best evidence is that suppositories were invented in Ancient Babylon 2,000 years ago. There are even references to suppositories, the “Magerata,” in the Old Testament of the Bible! One thing is for certain, suppositories are not a new thing in the medical world. Sam Kean, in his book “the Tale of the Dueling Neurosurgeons” records the story of King Henry the 2nd. The King was wounded in a jousting accident. His body could not retain food or fluid by mouth. His doctors used a rectal suppository to keep the king alive; the procedure was a success! 1763 was the Year of the Suppository. Let’s dive into it. The first usage of the word Suppository in academic literature was written by Lemery in his work “The Pharmacopoeia of Lemery.” He rendered Suppository in Latin as “suppositorium” meaning a “substitute” for enemas. At this time, the medicine enclosed in a suppository was housed in “solid forms.” These forms included hardened soap or honey. Solid forms of rectal and vaginal suppositories were replaced by cocoa butter in the late 18th century. In 1841, active ingredients began being bound inside the cocoa butter housing. Two scientists by the names Henry and Guibourt even began adding opium inside glycerin suppositories! In 1897, cocoa butter suppositories began to be mixed with water, gelatin, and glycerin for easier insertion. At the end of World War 2, suppositories began being made with hard fats, or fatty bases. The whole point was to make the suppository experience easier and more comfortable. New innovations were introduced to the suppository market in the 20th century. 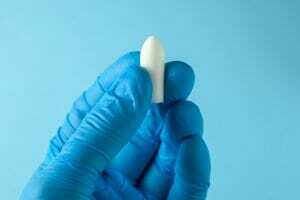 For starters, new technology reduced the weight of suppositories from 5 grams to 2 grams for adults. Suppositories for children and vaginal suppositories were also introduced to provide relief for patients whose stomachs could not hold liquid or capsule supplements. In 1936, the first literature on pediatric suppositories was published as a proven premedication before anesthesia in pediatric cases. By the end of the 20th century, the European and Japanese market became the major center for suppository use. In 1981, France became the first nation to grant market authorization for pediatric suppositories. The benefits of suppositories were known long before the 21st Century, but low quality capsules and liquids have given rise to a demand for suppositories. Health enthusiasts like the Detox Dudes are thinking outside the box and discovering why suppositories are a superior delivery method. What is the Purpose of a Suppository? Suppositories in the 21st century are designed with one goal in mind- deliver the highest amount of bioavailable nutrition to the bloodstream. There are practical benefits for individuals whose stomach cannot handle capsule or liquid supplements, but the purpose of a suppository is to bypass the stomach so the body can receive the highest amount of a given nutrient. How does a Suppository Work? Scientists and researchers at quality brands like VitalTox and Zetpil have developed technology that makes understanding suppositories easy. When a liquid or capsule supplement reach the stomach, stomach acids will largely destroy the bioavailable nutrients through the digestion process. After the digestion process, less than 10% of the capsule or liquid supplement will be absorbed into the bloodstream. These low numbers are not satisfactory for many health enthusiasts. The nutrients in suppositories are not destroyed by the digestion process because both rectal and vaginal suppositories are absorbed directly into the blood stream. How long do you keep a Suppository in? Upon insertion, the mechanical stimulants in the suppository allows the cocoa butter to melt within 15 minutes to 1 hour. You want to ensure your blood stream has the time to absorb all of the nutrients. We have created an article that goes through each step of the process. You can find this article here. In this article, I cover questions from how far do you push a suppository to how long does it take for a suppository to dissolve. The general rule is 1/2 inch for infants and 1 inch for adults. This handy tool makes the process incredibly easy and painless. Once the suppository has completely melted, you can expect a bowel movement within 15 minutes to 1 hour. If you do not have a bowel movement within one hour, we recommend to call your doctor. As we mentioned in the article, it is best to use a glove to insert a rectal or vaginal suppository. Is it OK to use Glycerin Suppositories daily? Upon discussing this issue with Dr. Jose Lizardi M.D., I found that his professional recommendation is to not use a glycerin suppository more than one time within a 24 hour window. The simplest answer to this question, based on the answer from a medical doctor, is no. Suppositories are 100% safe and painless. They do not react negatively with other medication and are an effective long term solution. When ancient peoples across the world first discovered the use of suppositories as a natural hemorrhoids treatment, they probably had no idea of just how useful their idea would eventually become. Suppositories are a superior delivery method to liquids and capsules. Although even just the word ‘suppository’ can be awkward, their extensive history and amazing benefits really put the issue in perspective. 2000 BC- Babylonian and Egyptian cultures used suppositories to treat hemorrhoids. Claims of Mesoamerican and Biblical cultures are reported to have used suppositories for the same purpose. 21st Century- Science continues to show the benefits of suppositories as the health community begins to reconsider how to absorb the most amount of nutrients. After discussing various brands with Dr. Lizardi, VitalTox is the brand I would choose as each suppository is made with a combination of CaNa(2) EDTA and ascorbyl palmitate in an advanced and all natural suppository base. Thank you for taking the time to read The History of Suppositories.